Hundreds of business people from Hampshire and further afield are set to take part in a brand-new sailing regatta next week (September 17, 18 and 19). Earlier this year TheYachtMarket.com announced the launch of a new regatta to run alongside the city's boat show. The event was set up with the mission of getting more people out on the water and engaging with the sport of sailing. Now, with the event now a week away, TheYachtMarket.com regatta is already shaping up to be a success, with more than 300 businesspeople set to take part. Richard W. Roberts, CEO of TheYachtMarket.com, said: "We are absolutely thrilled with the response to our first regatta. Getting people out onto the water really is a mission close to our hearts at TheYachtMarket.com. We can't wait to get people out sailing and show them how Southampton has some of the best waters in the country for the sport." Among the city businesses taking part are ABP, which runs the city's port; law firm Dutton Gregory; and city PR firm, Lee Peck Media. Dozens of young people will also take part as part of the Community Cup, a youth programme sponsored by a group of generous marine businesses. 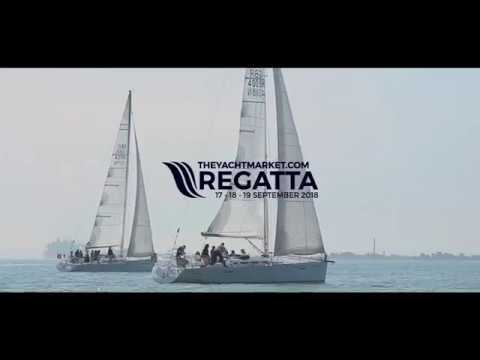 TheYachtMarket.com has teamed up with sporting events firm Rees Leisure to run TheYachtMarket.com Regatta. Other partners include Sunsail, which will provide a fleet of Sunsail Match First 40s, complete with skippers, and British Marine. Simon Boulding, Sunsail's Events Director, commented: "Sunsail has been a long standing supporter of TheYachtMarket.com Southampton Boat Show and to now be involved in the first ever regatta that is set against the backdrop of this spectacular show is very exciting. We look forward to supporting both TheYachtMarket.com Regatta and TheYachtMarket.com Southampton Boat Show." TheYachtMarket.com Regatta also aims to support worthy causes. A percentage of entry fees will be split between Geoff Holt's Wetwheels and Sail 4 Cancer.